We haven't seen anything yet. All indications are pointing to the hottest air of the summer moving in to southeast Missouri, southern Illinois, western Kentucky, northwest Tennessee, and northeast Arkansas over the next 96 hours. Forecast models are advertising a mid-level high pressure area strengthening and moving over the Mid-Mississippi Valley region starting Monday. The mid-level high will be in place through Wednesday or Thursday. Typically when we have high pressure in place we have decent weather. Relatively clear skies due to sinking air from the high pressure. When you put high pressure up several thousand feet, when the air sinks it begins to compress. A study of physics shows that when you compress air, it heats up. That is what will be happening over the top of the KFVS viewing area. Now the big question, "How hot will it get?" That's a tricky one. We know that the air will have the capacity to heat but we are also going to have moderate amounts of moisture in the air (humidity). The more moisture air holds, the more difficult it is to heat. Good examples... Look at the desert and look at the Gulf Coast. The desert heats very quickly partially due to the lack of moisture in the air. 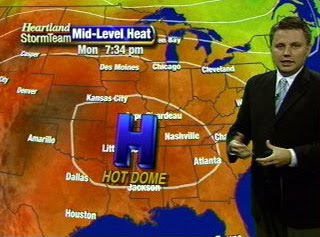 Along the Gulf Coast it gets hot, but rarely do you see it get extremely hot. That is mostly due to the amount of moisture in the air. Models are suggesting dew points in the lower 70's over the next several days. That is a drop compared to where we have been over recent weeks. However, the forecast models have been forecasting dew points too low. It wouldn't surprise me if we've got dew points in the middle 70's if not a little higher. This should keep our temperatures from jumping through the roof. Here is a look at air temperatures from various forecast models. There is a legend to the right of each of the meteograms. In the legend you will see there are two different forecast models being depicted. 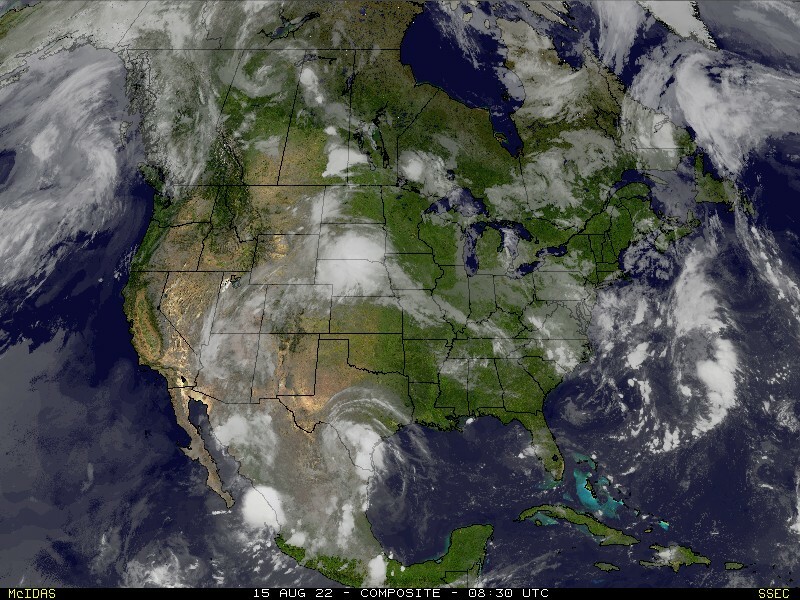 The GFS and the NAM. The last two runs of the models, 0z (7pm) and the 6z (1am), are shown. Before you ask (you always do), these are the only sites available with data displayed in the fashion in the KFVS viewing area. Use the locations from above to extrapolate your location. As of now, I don't think we will hit the 100 degree mark. It is very difficult for us to hit 100 degrees around here. I am speaking specifically for Cape Girardeau. I wouldn't be surprised to see Farmington, Mo hit 100 or the Missouri bootheel hit 100 at some point over the next couple of days. By the way, the last time Cape Girardeau officially hit 100 degrees was August 24, 2007. Will we hit the century mark again?